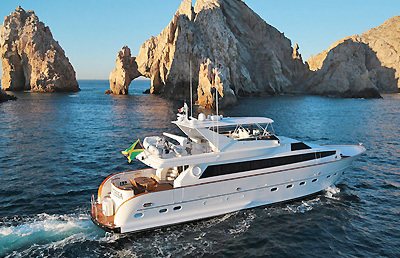 For the ultimate in ocean-view accommodations, nothing beats cruising the Sea of Cortez aboard our luxury yachts. For the truly discriminating traveler, a yacht combines the amenities of a world-class resort with the adventure of a voyage at sea. This is not your run-of-the-mill charter! The difference is striking from the moment you step aboard, whether you've reserved a sunset cruise with friends or elect to enjoy a week-long "live-aboard" exploring the Sea of Cortez. Each vessel offers beautiful interior design, spacious decks, professional fishing gear and lavish cabins to rival the finest hotel. Let CaboVillas.com help you plan the adventure of a lifetime. Ask us about gourmet food and beverage options and optional water sports equipment. Experience luxury and speed at sea! 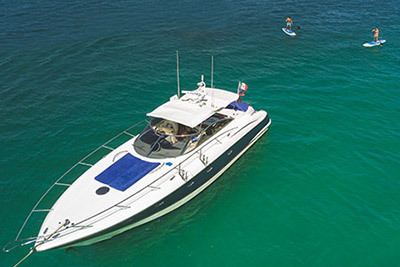 The ideal craft for all sea conditions, Chica Mala can achieve speeds of up to 33 knots, combining good maneuverability with stable performance. The large swim platform offers additional seating and makes getting in and out of the water easy and functions as a stable platform for setting up water activities. Chica Mala has two brand new stand up paddle boards, snorkeling equipment, fishing gear and a sea scooter. 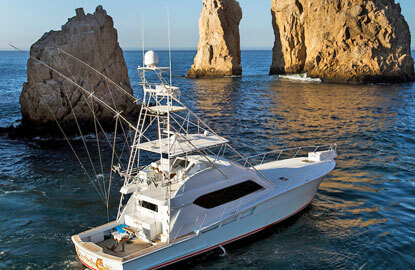 Get ready to fish the waters of Los Cabos in style aboard this beautiful, fast 60-ft. Hatteras. The Reel Machine is a vessel of class and comfort that’s equally adept as a sportfisher as she is pretty. Inside, you’ll appreciate the cherry wood interior, leather seating in the salon, a well-equipped galley, Sirrius radio, entertainment system and inviting staterooms, each outfitted with plush linens. You and your guests will also admire the large sunbathing area on the bow. 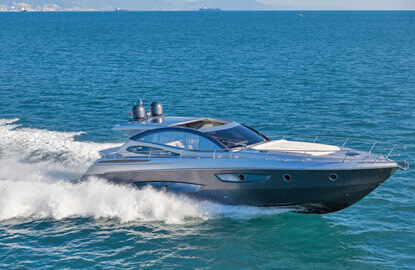 This beautiful sports yacht is an example of Italian styling at its finest. This sleek vessel draws envious stares wherever she goes, the dark #069 hull and silver superstructure with modern lines definitely make a statement. The large swim platform is hydraulic and can be lowered to sit in the water. Integrated into the swim platform area is a built-in grill and storage area for the water toys. Love Shack Cruises is proud to take you to the Pacific Ocean and Sea of Cortez taking private charter cruises to a whole new level. 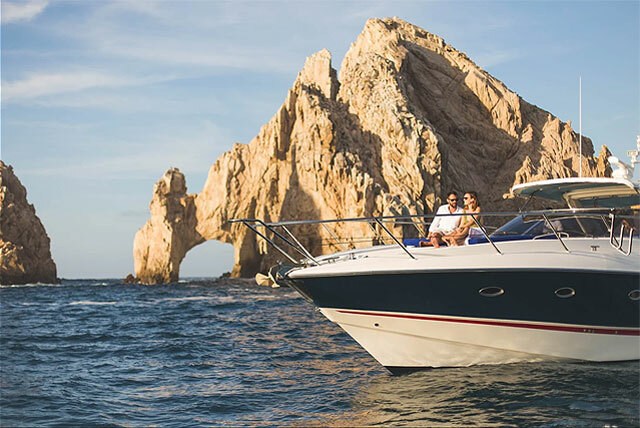 With a comprehensive list of activities, an upscale venue, and a professional, experienced staff, we will make your next cruise the highlight of your visit, on the most affordable, family oriented, luxury yacht in Cabo San Lucas. 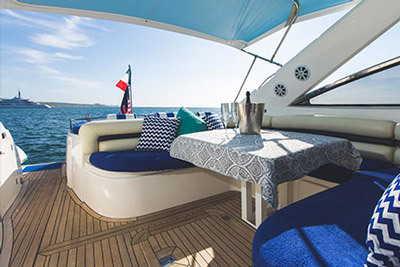 You'll find an outstanding range of amenities aboard this spectacular 85-foot yacht, including luxurious staterooms, excellent fishing equipment, watersport accessories, stylish décor, a well-equipped galley and so much more! 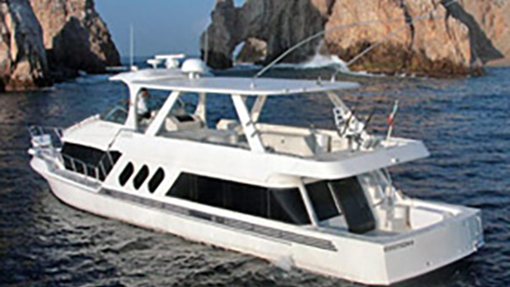 You'll have everything you need for a marvelous cruise on the waters of Los Cabos. Built in 2010 this beautiful Sunseeker Yacht turns head wherever she goes, her sleek lines and contemporary interior make her one of the requested yachts on the West Coast & Mexico. Zero speed stabilizers provide a comfortable platform even when at anchor and are a huge plus on this vessel along with the 24 FT beam which adds to the stability. 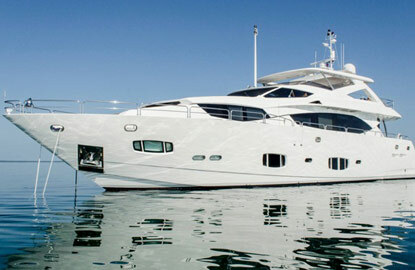 This glamorous vessel offers the highest level of style and service. 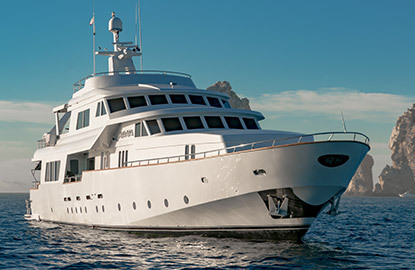 Maranatha is a 120’ Anaconda Italia that underwent a complete refit in 2003. This steel-hulled extremely spacious vessel gives such a smooth ride, you hardly notice it’s moving. This vessel provides plenty of shade and plenty of sun.